These days, many Jain sadhus and sadhvis have adopted technology and modern materialism like never before. The use of mobile phones, electricity, computers and shockingly, even bank accounts has become rampant. Under the guise of changing with the times, many of them have forgotten the five sacred vows they have taken. The Jain laity has actively encouraged these practices. For them, things have become more convenient. They don't need to travel to where the sadhus are to hear the manglik. They simply call them up or have the manglik delivered by a Whatsapp audio message! When these practices are questioned by people like me, who do not like this change, the answer given is, "How can we question this? They are at least better than us. They do a lot more than us." I am sorry but I do not agree with this. What we are conveniently forgetting is that these sadhus and sadhvis have taken the five mahavrats which strictly forbid the use of such things. Electricity and mobile phones violate the ahinsa mahavrat. Keeping bank accounts (even if the money is used only for religious purposes) violates the aparigraha mahavrat. While they may be doing much more than us, violating the mahavrats they have taken is inexcusable and they are no more deserving of much respect. 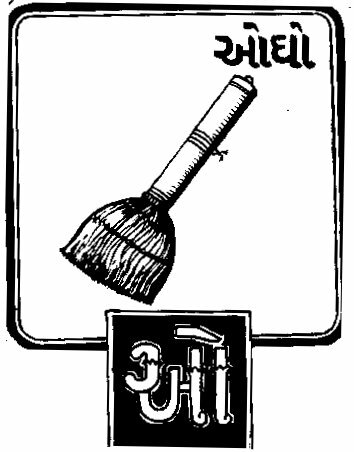 The primary reason the Jain clergy was respected so much was their unflinching commitment and adherence to the five mahavrats. Everything comes later. Their ability to speak well, write well and impress people all come after this. If the foundation of monkhood is not strong, the buildings built on top of this would collapse easily. સૂક્ષ્મની તાકાત ગજબની હોય છે. કટ્ટર સંયમ પાલનની શક્તિ ગજબની હોય છે. તેના વગર સાધુ જે પણ કરે, તે બધુજ એકડા વગરના મીંડા બરાબર છે. Hello Mr. Sreedharan, pranams to him! There are some Jain sadhus and sadhvis as well who do not let modernity touch them. But the number of those is small and decreasing unfortunately. I see your point Ranga and respect it! Totally agreed. I heartily respect all those Sadhu Sadhviji Bhagwants who follow the minutest rules even at this time. શ્રમણ શ્રમણીઓ પ્રચારક નહિ પરંતુ પ્રભાવક વધુ હોય છે. કલિકાળમાં આચારચુસ્ત્તા જાળવનાર અનેક પાંચ મહાવ્રતધારીઓને લાખ લાખ નમન.